Like all dealers, Jon Stidham believes in the products he sells, and he has used them first-hand for more years than he’s sold them. However, Stidham, owner at Kennel Supply LLC, is a specialized dealer that carries one product line – Vitalize® Canine Products. Kennel Supply is a specialty business that started 10 years ago and became a BioZyme® dealer at the same time. The company sells to tracks, kennels, zoos, cat complexes and circuses, and pet owners with a majority of their business consisting of raw meat that they ship across the nation to customers for their animals. Stidham, who is also a dog breeder, explains that there has been a movement in the past few years to move away from processed dog food and start feeding dogs more raw meat. “People are seeing their pets live longer and happier lives on a raw diet as opposed to cooked, processed dog food that has additives and things that are not natural to their diet,” he said. Since carnivores eat raw meat in the wild rather than grazing in fields or eating vegetables, more people have grasped the concept. 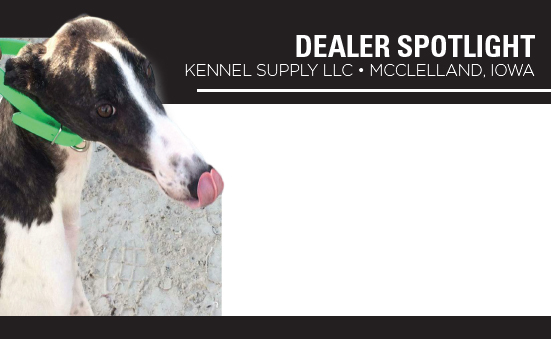 And Kennel Supply has capitalized on the opportunities that exist to supply a product that is in high demand. As only one of a few raw meat distributors in the country, Kennel Supply gets its meat from a plant in Redgranite, Wis., that primarily harvests older dairy cows that would be undesirable for human consumption. Stidman explains that the meat is still safe for animal consumption and tested regularly by the USDA. The meat is packaged in smaller tubes for smaller operations, or in 30-pound slabs for bigger kennels, accommodating their customers’ various needs. Stidham told of race tracks that order by the semi-truckload, or about 42,000 pounds, of raw meat every 4-6 weeks, noting why complete nutrition is so important when feeding several thousand dogs per day. “The gut is important for nutrition absorption and adding the Vitalize optimizes the absorption of nutrients from the meat. The meat promotes muscle development, especially in the puppies and the dogs working at the track. Vitalize is a part of the complete diet for puppies, juveniles and adults. The only time our dogs don’t get it is when puppies are nursing, and their eyes aren’t open yet,” he said. The product speaks for itself, according to Stidham, and he has never had any product complaints from his customers. “People know and expect what they are getting with Vitalize. I have a very loyal following of customers who use the product, and large breeders who use the product comprehend the importance of nutrition, so they get the importance of Vitalize as part of the raw diet,” Stidham said. For more information about Kennel Supply, visit kennelsupplyllc.com.